Also Attaches to Tripod Legs, Etc. 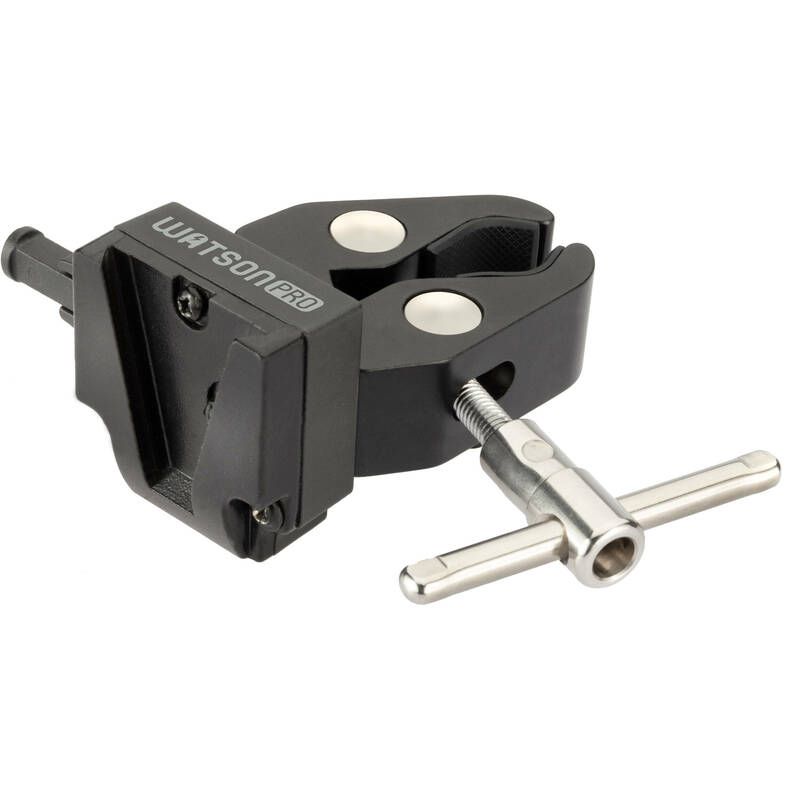 The Universal V-Mount Battery Clamp from Watson Pro allows you to attach a V-mount battery to a light stand and conveniently use the battery's accessory ports to power a light or other device. The clamp has an all-metal design with a locking V-mount adapter that supports up to 3 lb batteries. Its robust adjustable jaws grip up to 1.4" / 36mm diameter tubes, and textured rubber padding on the jaws ensures that your gear is protected from scratches. The T-handle that adjusts the jaws has a sliding design to allow for easier use in tight spaces. You can also mount the clamp on a tripod leg and other support gear to power various devices and accessories. Box Dimensions (LxWxH) 4.2 x 3.15 x 2.0"